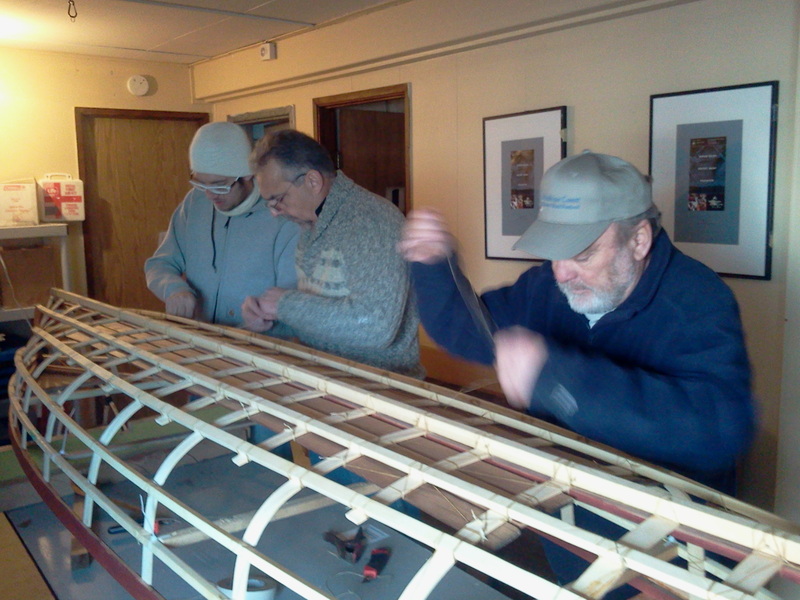 We offer individual tuition and group boat building classes in Vancouver, BC. Contact us for `Organize your own group` specials which can be arranged in Vancouver or elsewhere. Our boats are built on the K.I.S.S. principle (keep it simple stupid). 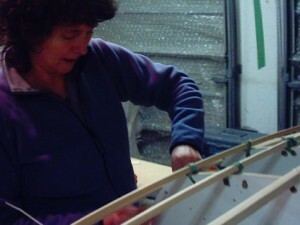 And although these boats are handmade and the process is simple, they are beautiful, lightweight, and very strong. These are ideal projects for the beginner boat builder as well as the advanced craftsman. The Free Lassie (based on J. Henry Rushton’s Wee Lassie), a one person or single canoe can be built in one weekend by a novice and yet they are beautiful, durable, impressive boats. We also offer classes to build a 2 man canoe. This is a wonderful project for a parent and child, school group, club event, summer camp, team building or corporate event, or even just for adults who want to get themselves out on the water but have doubts and fears as to their abilities and skill. Under Brian Chandler’s easy and informal guidance, you will be taught the principles of boat building along with a mystique destroying and problem solving attitude to achieve your final goal — a beautiful self-styled and completed boat. Before you know it, you will be engaged in building your own canoe or kayak, hands on and marveling at your own newfound skill. In this fun and informative class, you will receive all the encouragement and support you need to get the job done.